Please note: MDOT is unable to enforce traffic (including trucks) to follow posted detours. Questions: 313-407-0705. Southbound I-75 entrance ramps will be closed during 2017 to 2018. 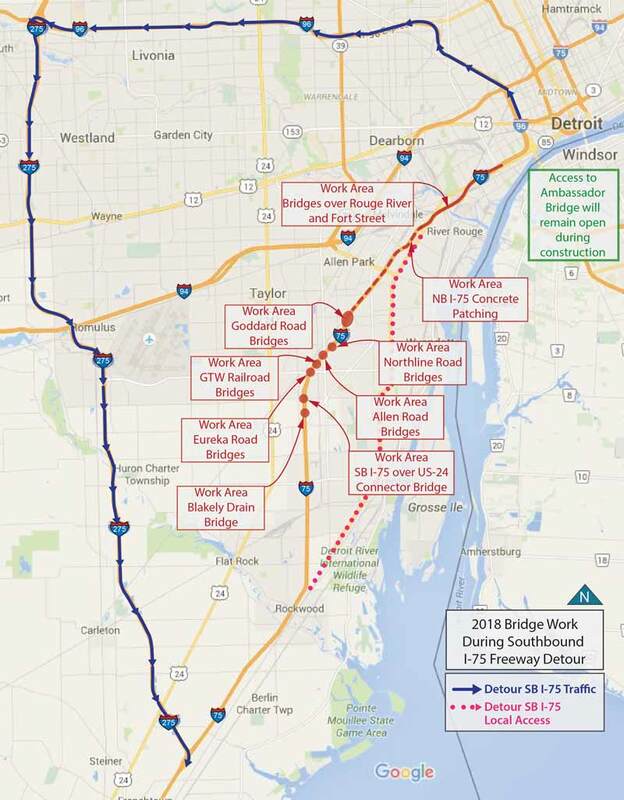 Click here for Southbound I-75 Local Access detours. Click on the following links to see the detour maps. 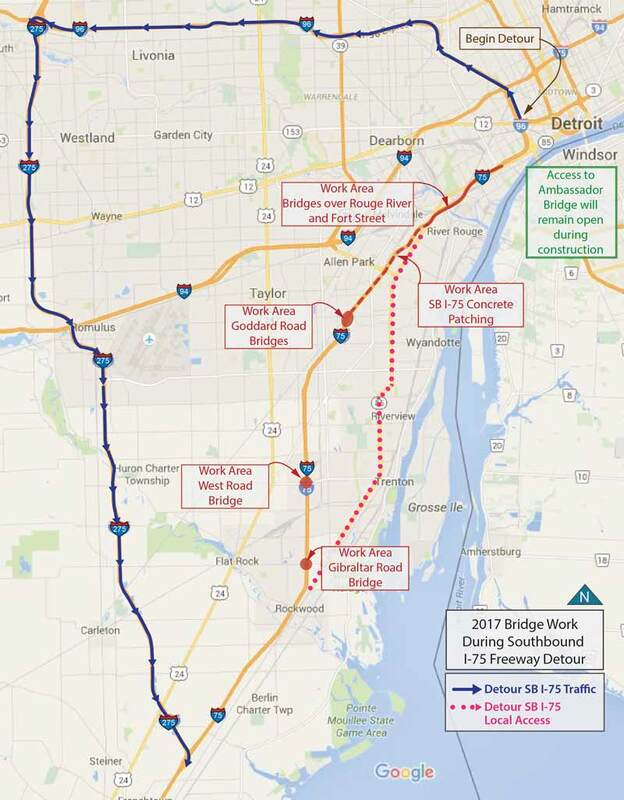 Southbound I-75 Freeway will be closed and detoured for the 2017 and 2018 construction seasons.